Danio margaritatus common name galaxy rasbora, microrasbora sp, or celestial pearl danio. They can grow up to 2-2.5 cm / 1 inch fully grown, and live in water parameters of PH range 7.0-8.0 and temperatures of 21-26 Celsius / 70-79 °F. The galaxy rasbora or celestial pearl danio are small peaceful fish so really need to be kept with other small community fish. They are best kept in groups as the less you have the harder it is to spot them in the tank. They can have some stunning colours and the males are always a little brighter than the females. As they are only small fish they have a diet of flake, or mini granular foods. But enjoy a treat of freeze dried, frozen or live foods. 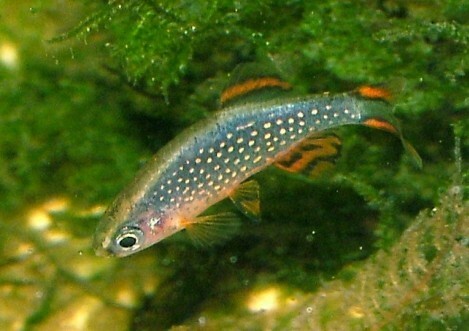 Galaxy rasbora or celestial pearl danio fish are tiny they only require small size foods. A colour enhancing food is good to feed the galaxy rasbora to keep there colours lovely and bright. They will only require small amounts of food once a day at the most.